Happy Easter and welcome back! So, this Easter, while I decided to send all my readers on that delicious roast chicken chase, I decided to go fish. And what a lovely dish it turned out to be! The Fact: Most fish can see in color and use colors to camouflage themselves or defend themselves. Most fish also have the best eyesight for their habitat and can see you peering at them in a fish tank. Some fish can even see polarized and ultraviolet light. The Inspiration: Since Christmas was all about chicken, this Easter, I decided to restore the balance and go fish. 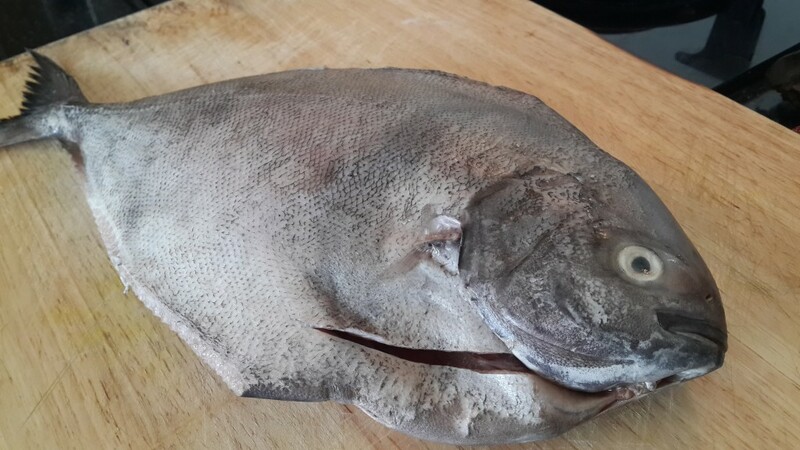 My Easter meal wasn’t extended to the entire family; it was restricted to Ally and me, and so a single Black Pomfret worked perfectly. Sunday started off with a quick trip to the fish market, a quick stop at the vegetable market, a lovely lunch with mum and dad, and finally, destination “Home” to cook the lovely fish. Happy Easter, everyone! And don’t forget to ‘Go Fish’. This meal serves 2–3 people. 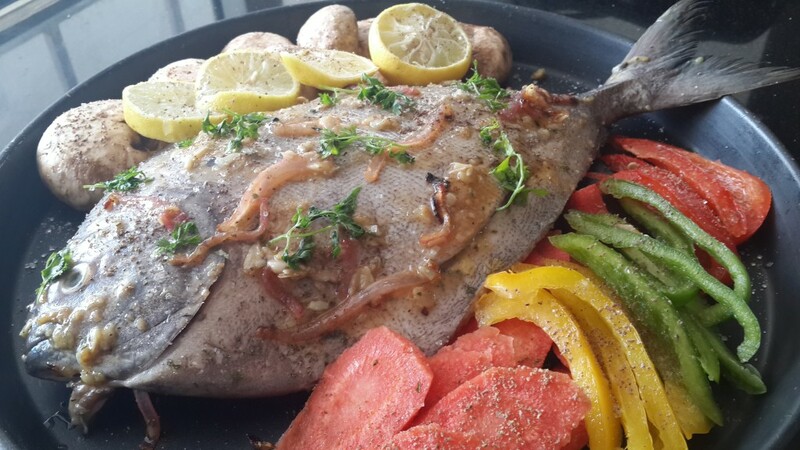 You can use any other fish, such as the Red Snapper, White Pomfret, Basa, the John Dory and so on. 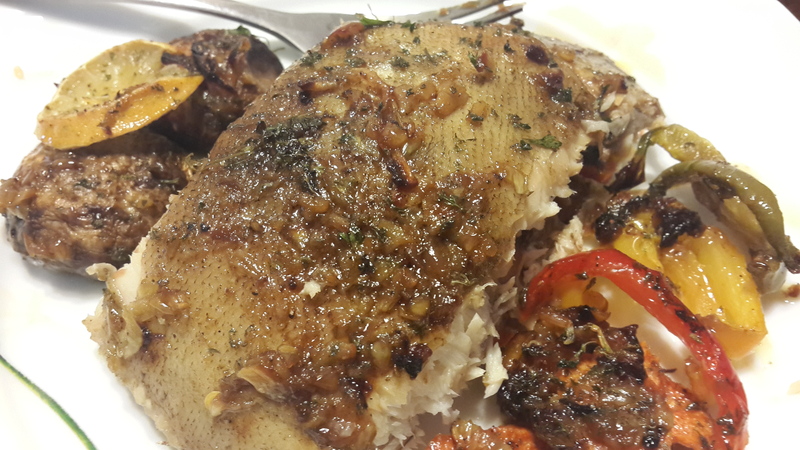 I love the taste of this particular local favourite; blame it on the relatively high oil content if you please, but in case you’re concerned, note that 2- 3 portions of oily fish a week is recommended to help maintain heart health. A palmful of peeled garlic cloves (approx 25 – 30 cloves) Note: I love garlic and usually use a lot of it. Preheat the oven to 190C or 374F. 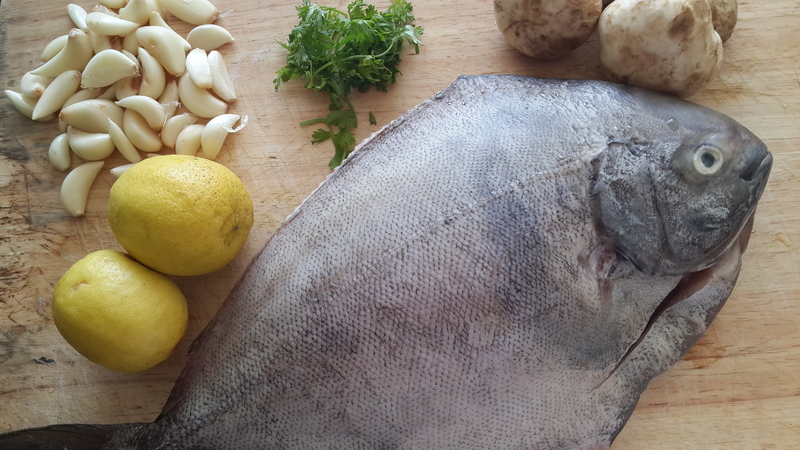 Make sure that your fish is scaled, cleaned thoroughly, and the innards removed. I usually get the fish cleaned at the fish market itself. It’s an easier and quicker solution. Wash the fish well and pat it dry with a kitchen towel. Season it with half a fistful of rock salt, freshly ground pepper (as much as you like) and some parsley. Remember to rub the seasoning into the fish, on the outside and lightly on the inside by making a fine slit at the bottom, on both sides. 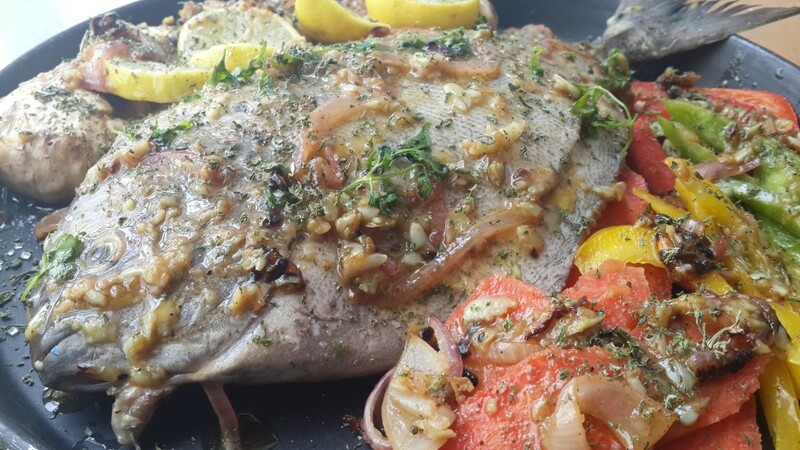 Leave the fish to rest in a baking dish as you prepare your lemon garlic sauce. Pound the garlic cloves using the mortar and pestle; I don’t really think that the finely ground garlic paste works, but if you like the taste of whole cloves, go ahead and use them whole. Squeeze the lemon juice from one and a half lemons; the remaining can be used for decoration. 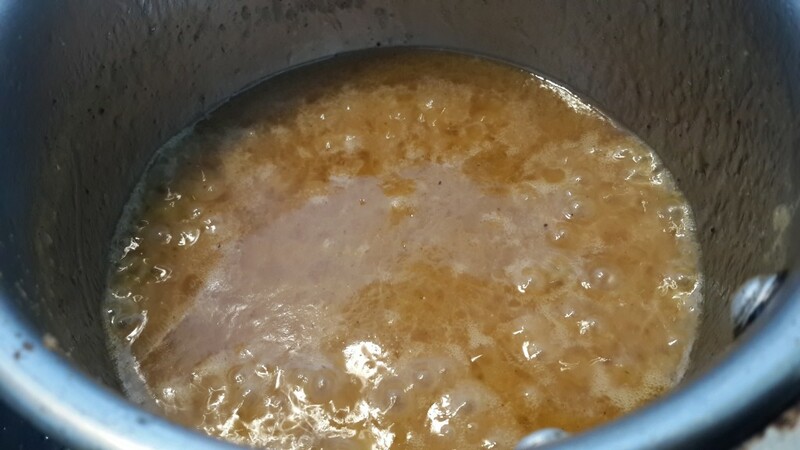 Add the butter, the freshly squeezed lemon juice and the orange juice to a saucepan on medium heat and allow it to simmer. Add a pinch of salt, a little bit of ground pepper and a sprinkling of sugar to the sauce. The sugar and the orange juice balance out the sourness of the lemon juice that can sometimes become a little overpowering. Taste and adjust the flavour as per your liking. Allow the sauce to simmer for a minute. Simultaneously, place a frying pan on medium heat. Add about 2 tablespoons of the sauce to the frying pan. (Hope you’ve turned off the sauce by now. The sauce should smoothly coat the back of a tablespoon; it shouldn’t be thicker or thinner than that.) Once the sauce in the frying pan simmers, toss in the pound garlic. Some chefs prefer adding the garlic directly in to bake, but I found the outcome a little too raw for my liking. 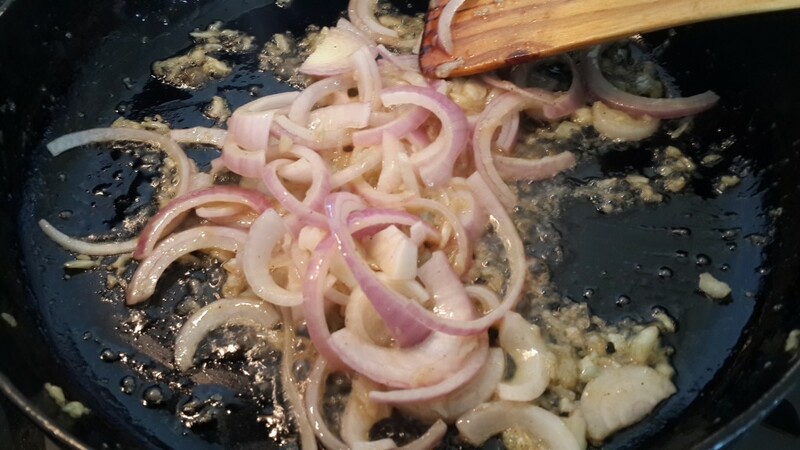 After sautéing the garlic for a few seconds, add the onions. Sauté the mixture until it is slightly brown. Don’t burn it. Allow the mixture to cool for a bit and then rub it over and into the fish. Chop your veggies anyway you like them and place them around the fish. Pour the sauce over the fish and the veggies. Bake for about 25 – 30 minutes. Use a small knife or fork and check to see if you can easily separate the fish flakes. If yes, your fish is done. 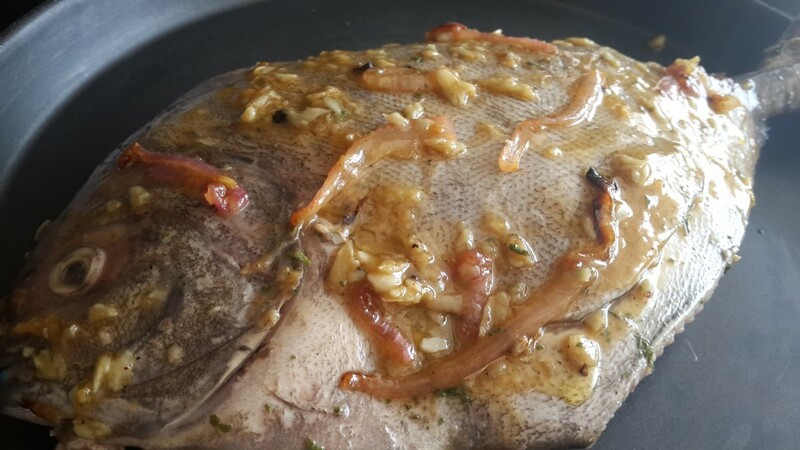 The fish meat should be opaque white and not transparent. If you want a browner top, use the grill or the overhead flame in your oven for about 2 – 3 minutes; not more. 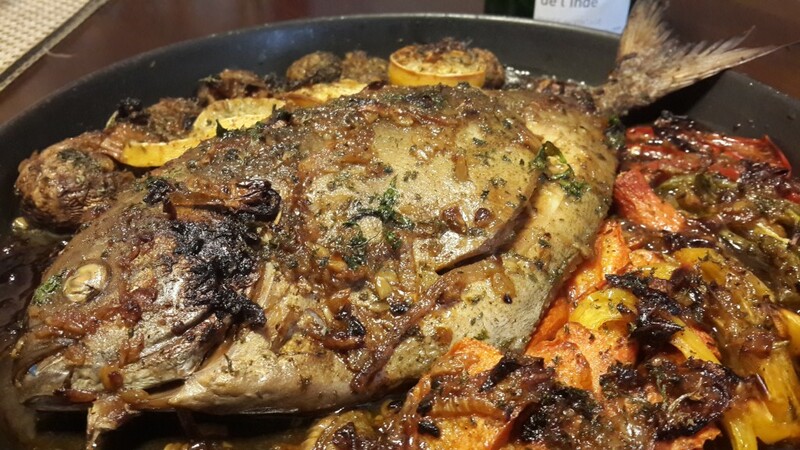 You can serve the fish with plain or garlic toasted bread. Don’t complicate the meal any further. Cut as you like. Note that if you use fillets instead, they should cook in about 15 – 20 minutes, are easier to serve and simpler/neater to eat if you’ve got company. In case of any leftovers, refrigerate, but not for more than a day or two. Tuck in. Bon appétit! That was a really great meal by itself! If you dont like it bland < you could rub in a teaspoon of green chilly paste when making the sauce!